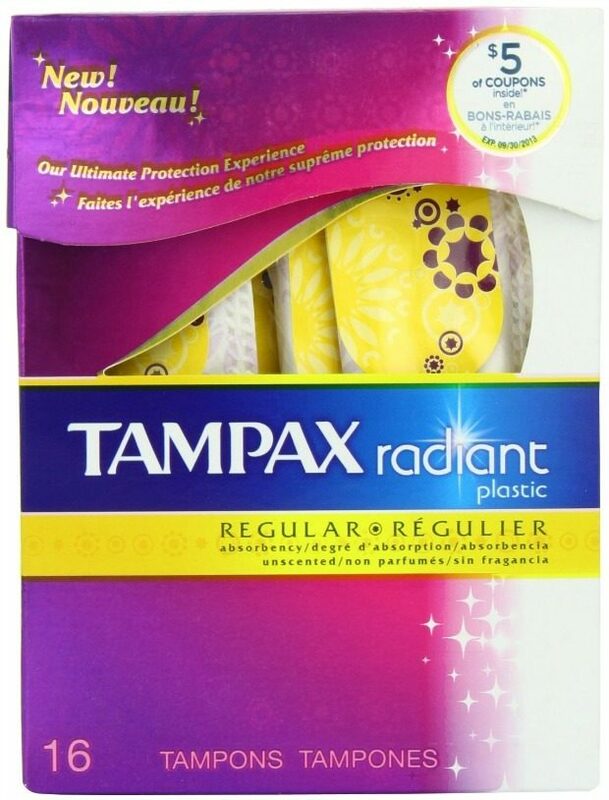 Tampax Radiant Tampons Just $1.77 PLUS FREE Shipping! You are here: Home / Great Deals / Amazon Deals / Tampax Radiant Tampons Just $1.77 PLUS FREE Shipping! You can get Tampax Radiant Tampons 16ct for just $1.77 PLUS FREE shipping! Here’s how – They are on sale right now for $3.77 – down from $7.99. Clip the $2 coupon under the price and check out through Subscribe & Save to get it for just $1.77 PLUS FREE shipping! You can also get Tampax Radiant Tampons Super 16ct for just $1.97 PLUS FREE shipping! Just clip the coupon under the price and check out using Subscribe & Save! Plus, if you have five or more current Subscribe & Save orders, it will make the price even less! You can only use the coupon once per account, so be sure to choose the best one for you!